You don’t have to own a medical spa to host a Botox party. You don’t have to own a medical spa to host a Botox party. 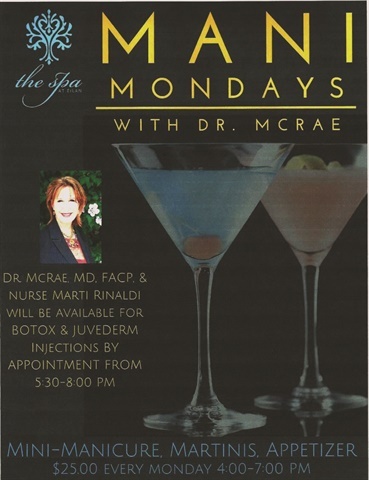 At the Éilan Hotel and Spa in San Antonio, Texas, spa director Jana Powers fills the books on Monday evenings with a special “Mani Mondays” promotion. From 4 p.m. to 7 p.m., clients are treated to a mini-manicure, martini, and appetizers for just $25. Plus — and it’s a big plus — a local physician is on hand offering Botox and other injectables by appointment. 1. In most states an owner/operator cannot “hire” a doctor; instead the doctor would have to collect any fees for her services directly. Don’t run these charges through your sales system. 2. Be sure that your salon insurance covers special events like this. Alternatively, you could purchase a special rider for the event. 3. Double-check that the doctor has liability coverage for out-of-office events. Also, prior to the event, discuss how an attendee can follow up with the doctor if there is an issue after the procedure. 4. Make sure that any promotions clearly identify the doctor and her credentials, location, and business name. State clearly that the service is subject to a medical assessment and that an attendee might not be a good candidate for medical reasons.